The screen printing process can use individual “solid” colors or colors can be combined to create “full color” or “photographic” images. 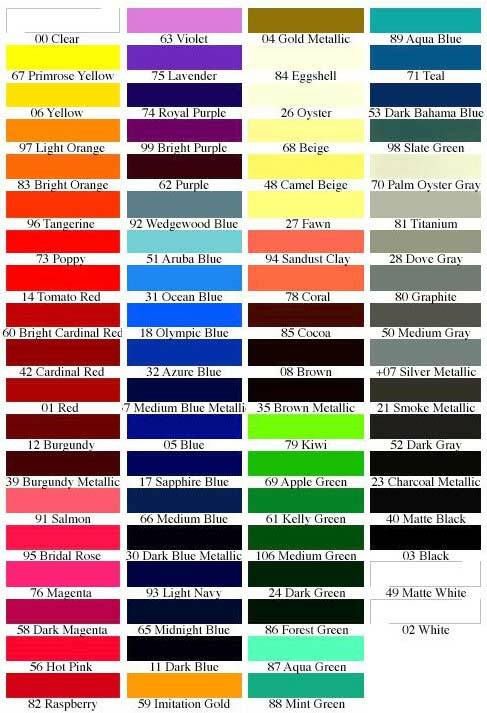 Below is a basic guide of colors provided to help guide you on making your color decision. When producing your items, our experienced staff can work with you to match colors more precisely.